The export of Bata shoes to Morocco began at end of the 1920s and in 1932 the company opened its first stores. Two years later a Bata sister company was set up in the country. It was still conducting business there at end of the 20th century. In the year 1929 the Bata Company exported 7,000 pairs of shoes to Morocco; in the following years the export increased to almost a quarter of a million: from 7,000 pairs in 1929 to 249,000 pairs in 1932; in the following years the Moroccan market was supplied with shoes from the Bata French factory in Hellocourt. 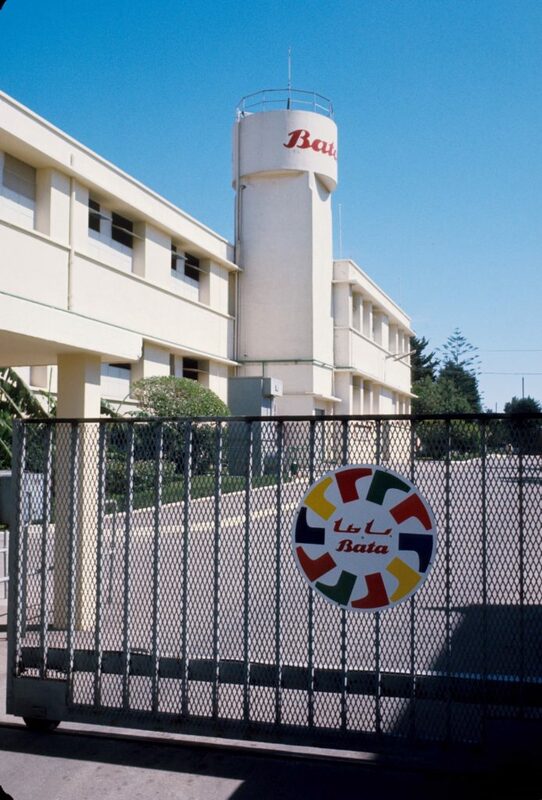 In the middle of 1931, the Bata Company opened its first stores, e.g., in Casablanca; in year 1932 the local retail network consisted of 8 stores: Casablanca, Rabat, Fes, Marrakech, Meknes, Oudjda, Taza, Port Liautey, Mazagan. In the year 1934 a sister company Bata S. A. Marocaine, Casablanca was set up; another company was founded in the neighbouring Tanger – Calzados Bata S. A., Tangiers. In the year 1939 one more sister company Negocia S. A., Casablanca was founded; a factory was established later in Casablanca. In the year 1940 a shoemaking factory was founded; in the year 1945 the Casablancan factory employed 200 employees (1 rubber workshop and 1 shoemaking workshop). By the year 1947 the Bata Shoe Company had developed a retail network in the country: 25 stores in Morocco (Casablanka 5x, Rabat 3x, Fez, Meknez, Oujda, Marrákeš 3x, Port-Lyautey, Mazagan, Safi, Mers. Sultan, Fez-Mellah, Meknes-Medina, Mogador, Salé, Kourigba, Agadir, Taza); 11 stores in Tangiers (Spanish Morocco – Tangiers 2x, Melilla, Ceuta, Tetuan, Larache; Canary Islands – Las Palmas, St. Grus de Tenerife, Puerto de La Luz, La Palma, La Laguna); the company Negocia S. A. Casablanka, Maroko had the instructional role in managing Bata’s enterprises in Northern and West Africa. In the year 1954 the Company sold shoes in 38 own stores. 1962 – the following enterprises for the Moroccan territory were registered: Bata S. A. Marocaine (Morocco); Negocia S. A. (Morocco); Boutin S. A. (Morocco); Calzados Bata S. A. (Tangiers). In the year 1992 the Bata Shoe Company owned the company Bata S. A. Marocaine, Casablanca.